Who said the Movie Theatres where going to go out of business? Whew…..and I’m going to see Iron Man this weekend……. BDog sends us this piece he found out there surfing the net’…….. It was announced last week that Warner Bros. Pictures had signed a new deal with IMAX to release 20 upcoming films over the next three years in the giant-sized format. That’s big news on its own, but that wasn’t the real bombshell: included on the lists of titles was “Batman 3,” with a release date set for July 20, 2012. Christopher Nolan, director of “Batman Begins” and “The Dark Knight,” stated this past March that he was planning to finish his Bat-trilogy with a final movie. But this is the first time a release date has been established. After the last movie brought in just over $1 billion worldwide, anticipation for another movie has been sky high. Still, there are some other giant movies coming in the summer of 2012 to be plenty excited about as well. The summer ’12 movie season will kick off with “The Avengers,” the movie that will bring together Marvel Comics’ biggest heroes. Iron Man, Captain America, Thor, and the Hulk will team up in a massive movie opening the first weekend of May. Robert Downey Jr. and Samuel L. Jackson are definitely on board for the flick, which will reportedly be directed by “Buffy the Vampire Slayer” creator Joss Whedon. If that’s not enough comic book action for you, the Fourth of July weekend will bring Spider-Man back to the big screen. Directed by the appropriately named Marc Webb (“(500) Days of Summer“), the movie will be a franchise restart, sending Peter Parker back to high school. No casting announcements have been made for that movie yet, but it will be in 3D. 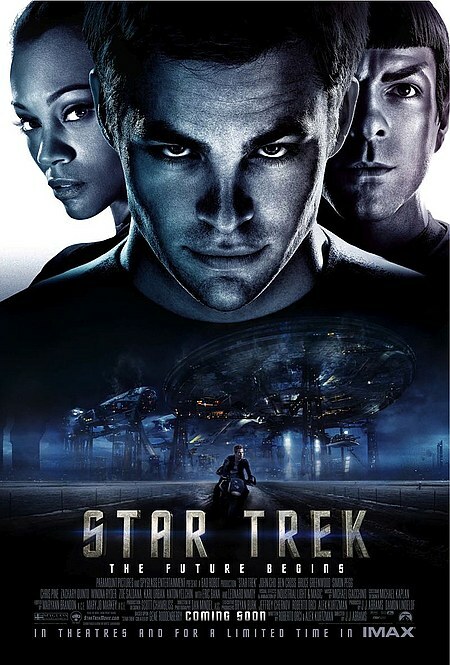 Of course, there will be sequels that summer, and leading the pack will be the next installment of “Star Trek.” With J.J. Abrams’ 2009 reboot having earned 2 1/2 times more money than any previous “Trek” movie, it was inevitable that his young Enterprise crew would return for another mission. Abrams hasn’t committed to directing yet, but the script is currently being written by Roberto Orci and Alex Kurtzman — who wrote the first movie — and “Lost” co-creator Damon Lindelof. None of this is to say that the summer of 2011 won’t have giant movies as well. It was just announced that the prequel “X-Men: First Class” will bring Marvel’s mutants back to theaters. Thor and Captain America will get their own solo movies before joining “The Avengers.” Johnny Depp returns as Captain Jack Sparrow in “Pirates of the Caribbean: On Stranger Tides.” A third “Transformers” movie is planned for the July 4th holiday. Animation can’t avoid sequels either, with Pixar’s “Cars” and DreamWorks’ “Kung Fu Panda” getting second movies. And the last half of “Harry Potter and the Deathly Hallows” will mark the boy wizard’s final big-screen adventure. In this day and age of cell phones, to what phone booth does Clark Kent go to change into Superman? Ah, he just goes into the john….and does that whirl around thing…..